I've been down that road before. Locations scouts for Halloween XV find their opening. I heard alot of girls that use guys live on that street. 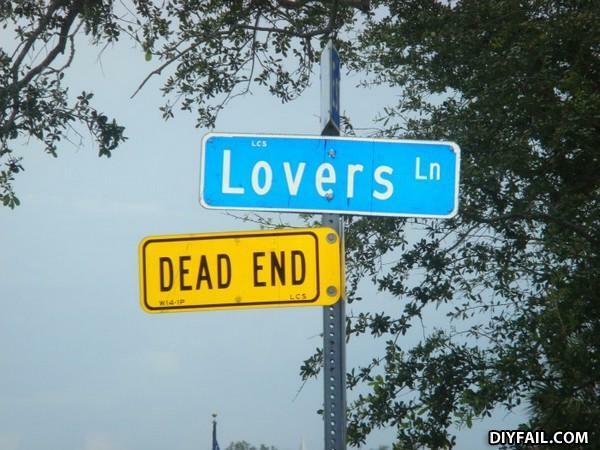 The sign is a metaphor... All lovers go into a deep end.